From there, you can travel to any one of the &quot;challenge houses&quot;. That is exactly what an overseas charity challenge is – an unforgettable once in a lifetime experience,” says lisa glenday From the time a supporter makes an enquiry, officially signs up, reaches (and exceeds) their fundraising target, boards the plane, completes the challenge and collects their final post event donations – this could be up to a two year long period complemented with regular contact from you. custom challenge coins exactly1103 custom challenge coins exactly Custom Challenge Coins - What exactly are They? All About Custom Challenge Coins New Max Challenge Coins | All About Custom Challenge Coins Are you keen to mark a special occasion wherein you also plan to reward people for their feet and achievements? 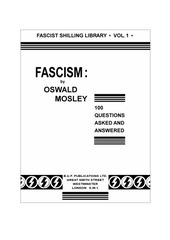 7th OLANGO CHALLENGE SUMMON 7th OLANGO CHALLENGE SUMMON Dear Friends, This coming May 17, 2014, Philippine Business for Social Progress (PBSP) and the Philippine Swimming, Inc.
100 questions about fascism oswald mosley Oswald Mosley CHALLENGE. Tabelle Challenge 52W Nikita Gaan Was hat sich während oder nach der Challenge verändert? Rising to the Challenge In October last year, a group of eager pioneers awoke early on a Saturday morning to be the first to embark on brand new fitness journey. Teams of 5 will compete in a 10 lap relay race for a chance to win incredible speed and fundraising prizes • Co-Ed Team Challenge – How fast can your team cycle the Honda Indy Track? 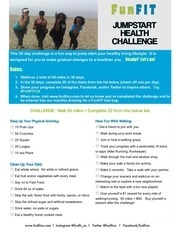 JumpStart Health Challenge FunFIT JUMPSTART HEALTH CHALLENGE This 30 day challenge is a fun way to jump start your healthy living lifestyle. 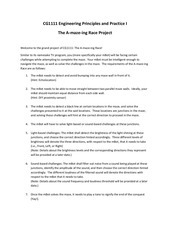 7th OLANGO CHALLENGE WAIVER 7th OLANGO CHALLENGE WAIVER I understand the purpose of this waiver is to preclude others and myself from bringing any claim or legal action arising out of my participation in the 7TH OLANGO CHALLENGE. 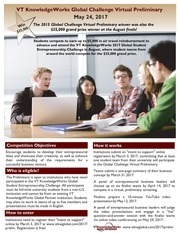 VTKW GCVP 2017 VT KnowledgeWorks Global Challenge Virtual Preliminary May 24, 2017 Win00 0 $25, The 2015 Global Challenge Virtual Preliminary winner was also the $25,000 grand prize winner at the August finals! 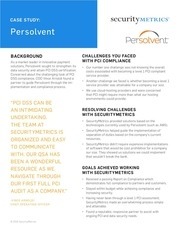 OUR QSA HAS BEEN A WONDERFUL RESOURCE AS WE NAVIGATE THROUGH OUR FIRST FULL PCI AUDIT AS A COMPANY.” -V I N C E A R N O L D I C H I E F O P E R AT I N G O F F I C E R CHALLENGES YOU FACED WITH PCI COMPLIANCE •	Our number one challenge was not knowing the overall costs associated with becoming a level 1 PCI compliant service provider. Publication1 The 24-Day Challenge® is a comprehensive supplementation and nutrition program designed to give your body the jumpstart it needs to help you reach your goals.